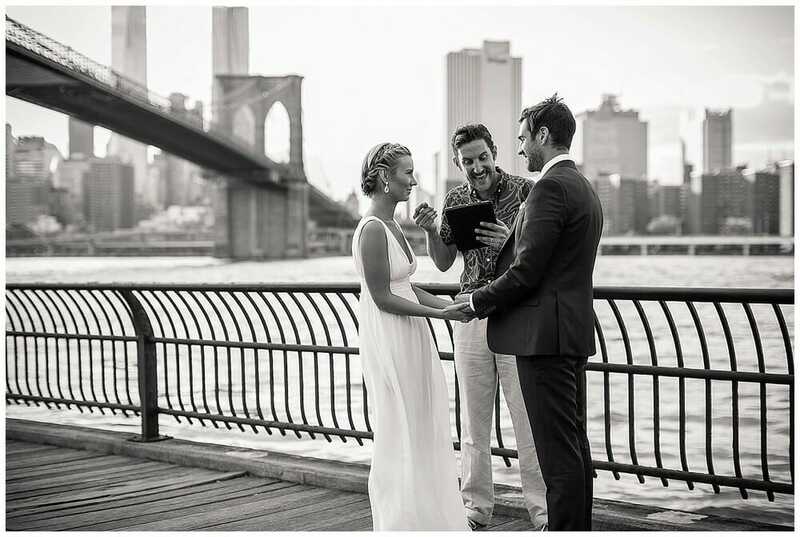 Every time we’re lucky enough to witness a DUMBO elopement, it reminds us just how beautiful this city is! Imagine standing on the banks of the East River, looking out over the Manhattan skyline. On either side of you, two iconic bridges tower overhead. 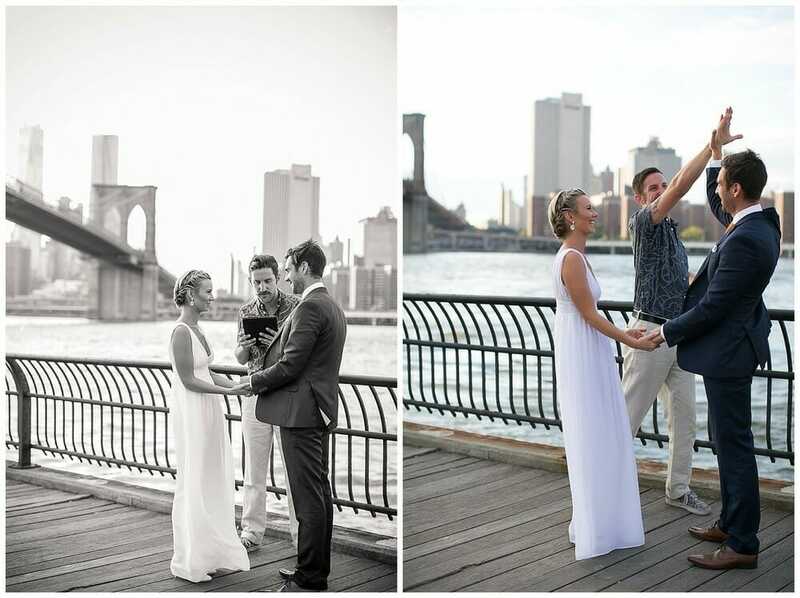 That’s exactly what our couples experience when they choose to have a ceremony in DUMBO, Brooklyn! For these two, it was just the same. Their classy, chic style fit the scene perfectly. 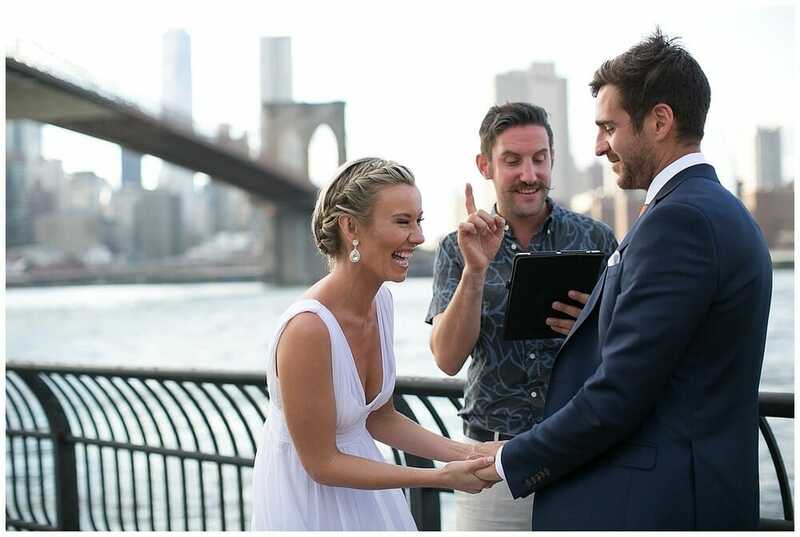 The Most Reverend Matt Levy led them through a heartwarming, yet hilariously fun ceremony. It wouldn’t have been complete without the high fives midway through! 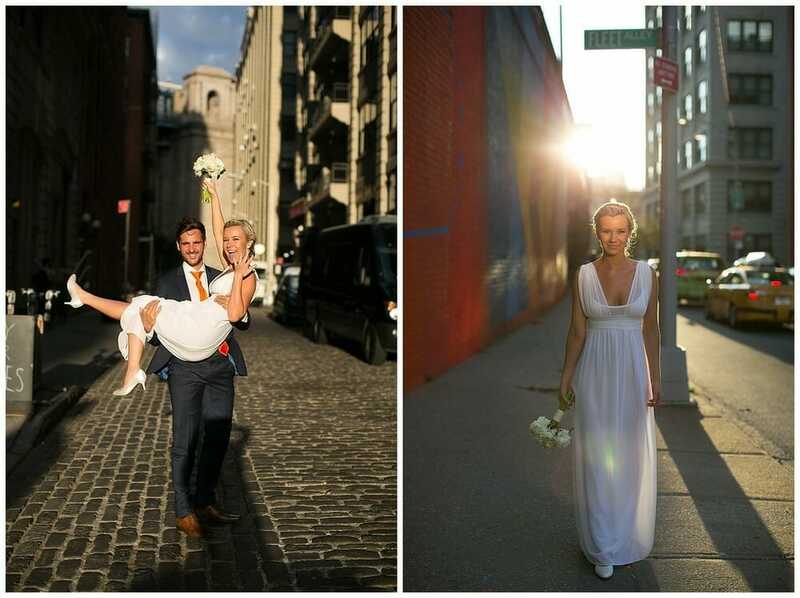 Afterwards, they took a walk around this popular NYC neighborhood for some amazing portraits. 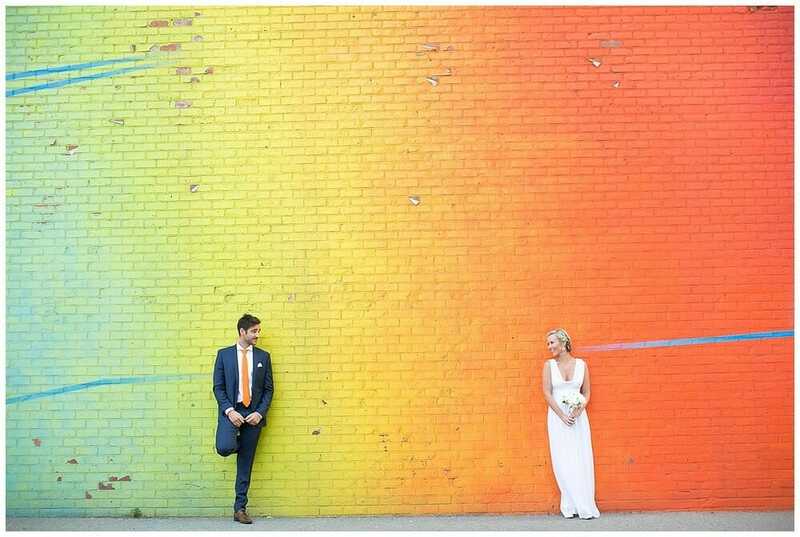 You’d think the groom planned his tie to match the street art! Check out the photos below, shot by Jenny.